With an entire Course, Coassemble transforms from a supplementary homework tool to a standalone teaching resource - and the best part is, creating a Course on Coassemble doesn’t require any more knowledge of authoring e-Learning content than creating Lessons or Quizzes does! Coassemble Courses can significantly enhance traditional classroom teaching. Modern day classrooms have unprecedented access to computers - teachers can take advantage of this by having students learn via an e-Learning Course. Instead of the teacher writing on the board or reading information to students, they learn it interactively, at their own pace. This also frees up the teacher to move around the classroom helping students individually. With an Coassemble Course, you’re effectively implementing a blended classroom approach, which has been shown to deliver better learning outcomes than traditional teaching models. Courses don’t have to be used just in the classroom either - creating a Course could just be an easy way to keep all your homework tasks organised and in one place. You could even create a Coassemble Course to provide extra content for high-performing students - for example, you could teach a course as you usually would, and direct interested students to a Coassemble Course where they could find further information on each topic. You can begin building aa Coassemble Course from the Create tab on your Dashboard. 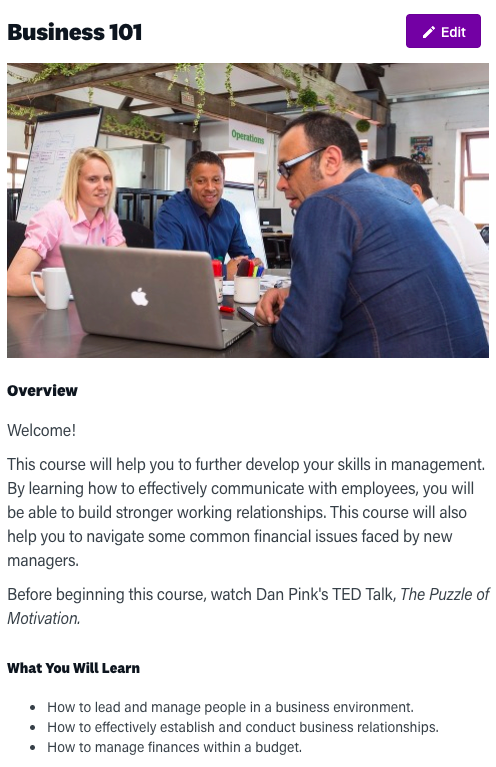 Once you enter the Course Builder screen, you can begin to add Modules - these are just Lessons and Quizzes, which are made as they would usually be. Rolling out a Course is theoretically possible from a free Author account, but in reality it’s very limited - you can only share one link at a time from a free account, and are privy to no analytics. To effectively deliver a Course using Coassemble, you’ll need analytics and sharing options. A School Plan is the optimal option for this, as you can create separate spaces for each of your school’s faculties and have up to 70 users authoring content. The analytics options will let you see which students have completed which sections of the Course, as well as individual marks in any Quizzes. If you need any help setting up or rolling out a Course, click on the Intercom icon on the bottom right of your screen and let us know! We’re here to help.